Drug-related infectious diseases such as HIV and hepatitis B and C are among the most serious health consequences of drug use. 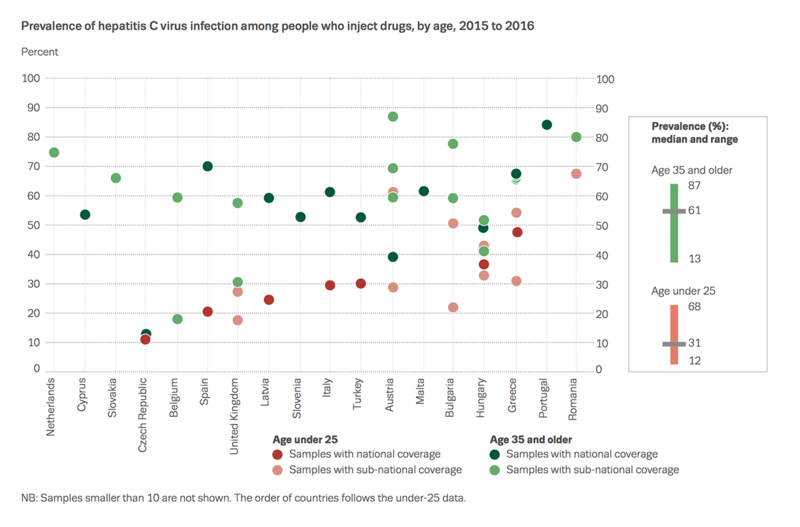 Even in countries where HIV prevalence in injecting drug users (IDUs) is low, other infectious diseases, such as hepatitis B/C, sexually transmitted diseases, TB, anthrax, tetanus, botulism, hepatitis A, HTLV may disproportionately affect drug users. 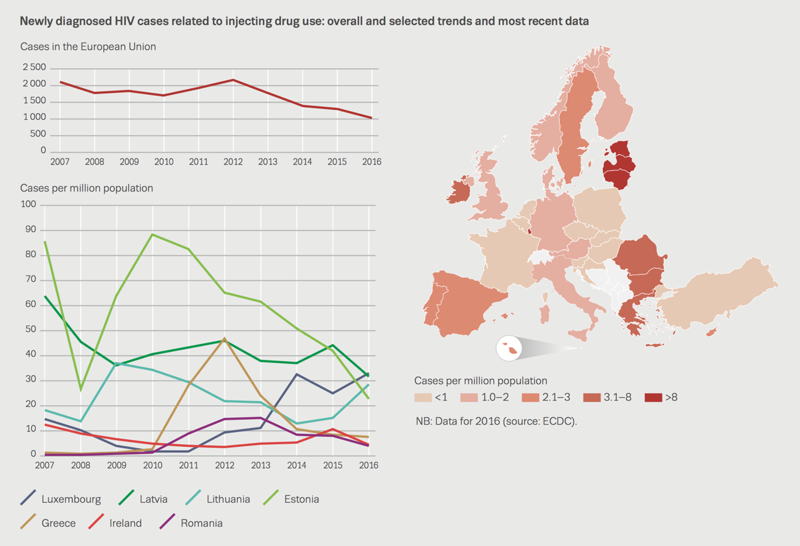 Methods and definitions for the data on this page can be found on the Drug-related infectious diseases methods and definitions page.